Avid skiers know that an injury on the slopes is always a risk. But you may be surprised at just how many injuries are sustained. According to new research commissioned by Post Office Insurance more than one third (36%) of the 4,544 of British skiers asked have sustained an injury on the slopes. Though painful, what hurts more is that they risk costly medical bills, as almost half (48%) admit to having no insurance. Almost one fifth (19%) have sustained serious injuries including broken bones, fractured bones, pulled ligaments or tendons, sprains and concussions whilst 19 per cent got away with cuts and bruises. Treatments at a walk in clinic would typically cost in around £500-£1,000 and the cost of a helicopter rescue to hospital can reach £2,500. Unless you have deep pockets it’s a pretty big risk. Incredibly it’s the over 55’s and under 24’s that are most guilty of being reckless when it comes to their travel insurance. Only 38 per cent of older skiers and 37 per cent of young people who have ever been on a winter sports holiday say they purchased insurance for their most recent winter sports holiday. The survey also revealed that the Scottish are the most accident prone, with 9% admitting they have suffered a broken bone on the slopes. Yet, the Scots are also the least likely to purchase insurance (66%) in comparison to their English counterparts (55%). A European Health Insurance Card (EHIC) card covers some free and reduced costs but these vary by country. Those without insurance could find themselves heavily out of pocket on the slopes if they have failed to prepare. Holidaymakers assume they are covered for winter sports as part of their travel insurance – but it is often not the case, meaning thousands of people could be heading to the slopes without any cover. Many aren’t aware it is a costly business if you have an accident on the slopes and don’t have the right insurance to cover your medical bills. At Post Office we want to ensure our customers are adequately prepared for their winter sports holiday including knowing how they can avoid risk and misfortune while there. If people are mistakenly assuming that an EHIC card gives sufficient cover, the cost could be high if you do have an accident. It’s also important for people to explore what their insurance policy covers especially if for example they are planning to go off-piste outside of resort boundaries. As part of its #SkiSafe campaign, Post Office Insurance is offering holidaymakers transparent advice, available at any time on their website, letting skiers know what measures they can take to avoid injury and what to look out for when buying insurance for a break on, and off, the slopes. As with everything, preparation is key and that definitely applies to ski holidays. It is not just insurance that people fail to acknowledge properly either. The joy of skiing is you don’t need to be at peak fitness to enjoy it. However, just a few weeks of relevant exercise will massively increase your enjoyment on the slopes and reduce chance of injury. Skiers can wear appropriate clothing and should avoid skiing right after a tipple to help protect themselves and ensure they stay fighting fit for their whole break. 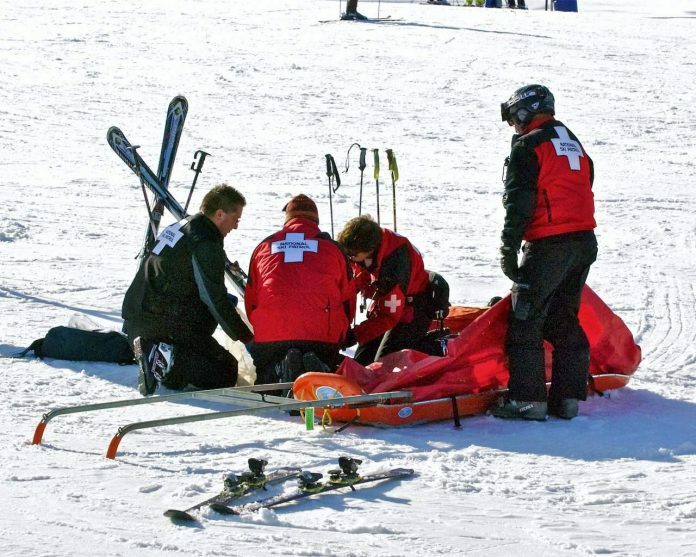 Whilst we all want to make the most of our holidays, it is important that if skiers do find themselves injured for any reason, they do not delay seeking medical attention and risk making their injuries worse.